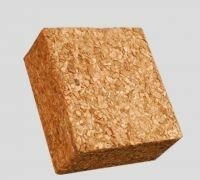 Riococo Unwrapped Coir Block Coco Peat with a 5-8mm chunk size is a great alternative to peat moss. Riococo Unwrapped Coir Block Coco Peat with a 5-8mm chunk size is a great alternative to peat moss. It's an organic soilless coconut fiber growing medium with superior water holding capacity when compared to other grow media. Riococo Unwrapped Coir Block is free from seeds and pathogens and pre-washed for low EC and balanced pH.